Kids Dresses and skirts, specially designed for cool little girls only on Faye. 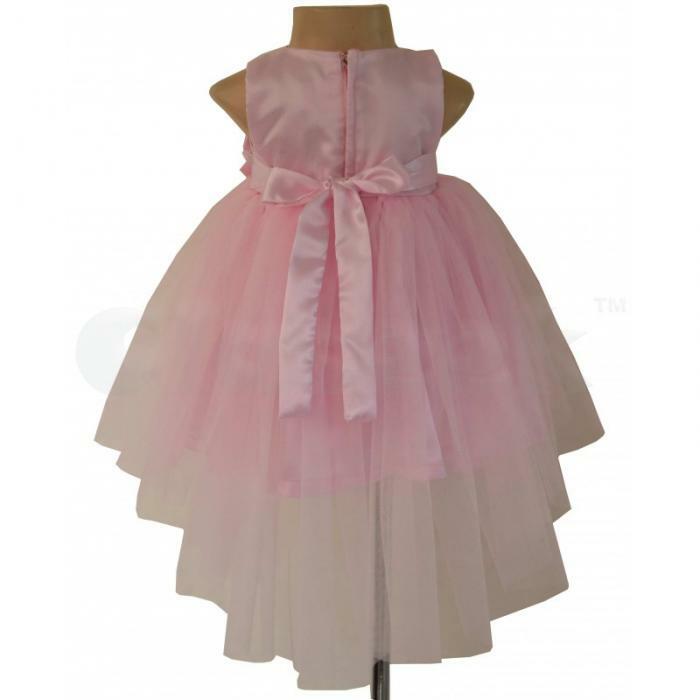 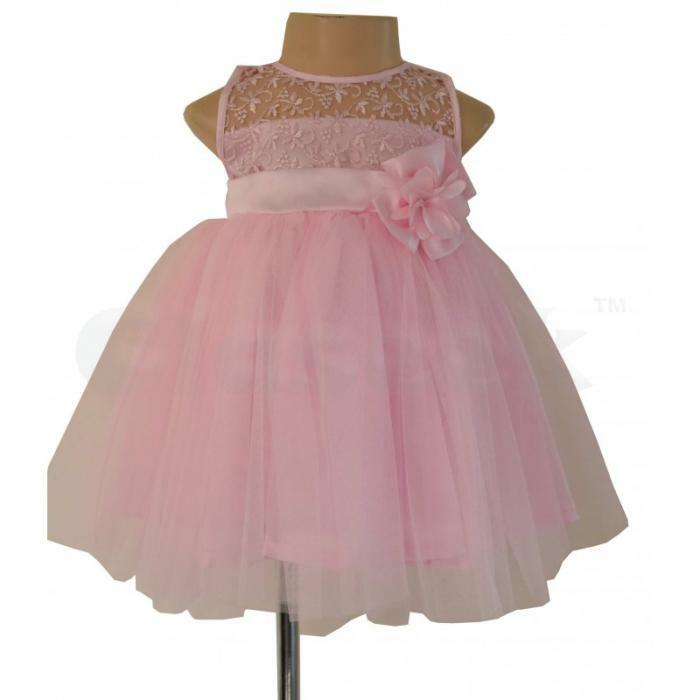 This Pink High Low Dress is an ideal party dress for your baby girl. 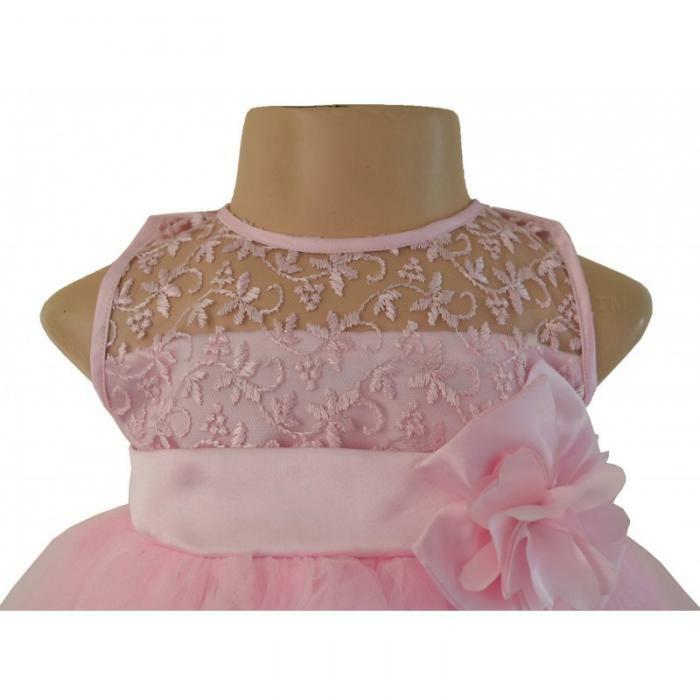 This sleeveless bodice boasts of embroidered detailing on a sheer fabric and a fully draped pink net skirt is added for volume in a Hi-Low cut. 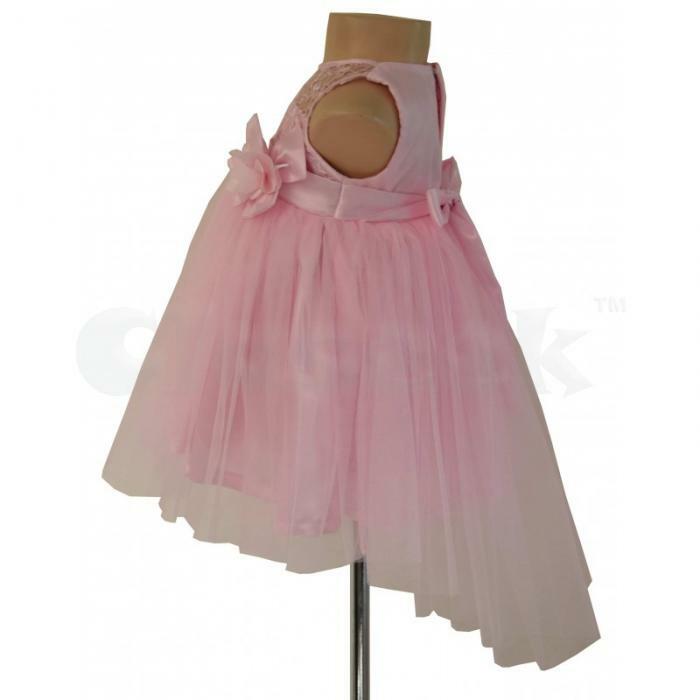 The waist is enhanced by bows with added floral detailing.